Local Oregon-area businesses compete to provide attendees and judges with the best, most original and tastiest bacon-infused creations, withe prize of "Best Bacon in Oregon," plus thousands of dollars in cash and prizes! 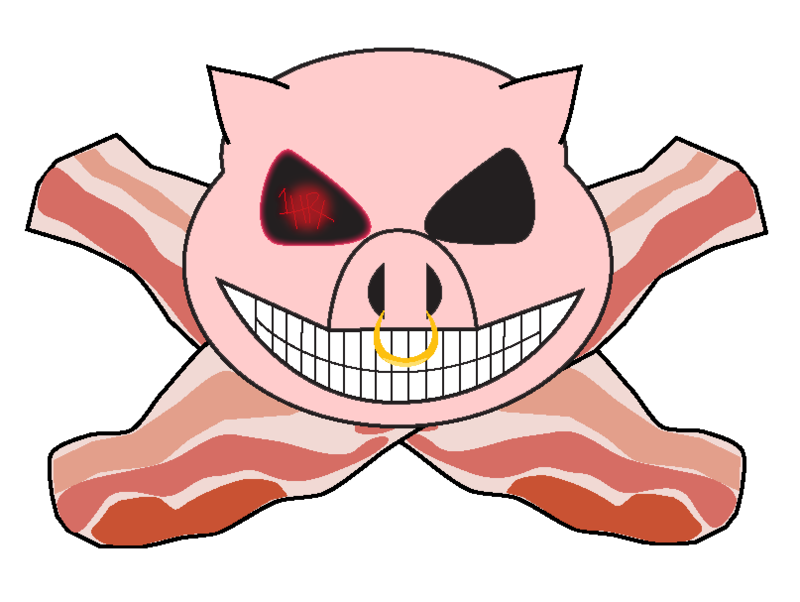 This year, we're holding Bacon Cup on Halloween to encourage tasty desert creations, horrifying pig-meat monstrosities and everything in between. 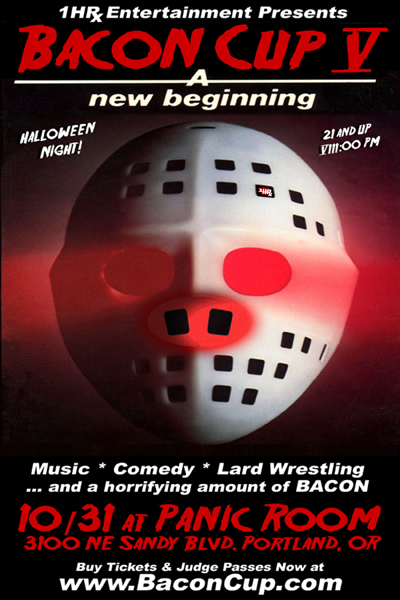 Musical acts include headliner Chicharones, with stand-up comedy bridging the gap between DJ sets and, yes, the epic return of girl-on-girl lard wrestling. As with prior years, attendees will be able to present bacon tickets in exchange for samples, which competitors can exchange for cash (there will also be an "Audience Favorite" award), but final voting for the main category ("Best Bacon in Oregon") will be determined entirely by judges. This eliminates any advantage entries may obtain by purchasing their own bacon tickets, or providing an unreasonably un-beatable amount of bacon. This year's venue, Panic Room, was chosen in part due to it's recent feature on Bar Rescue, but more specifically, because it is a new establishment at a familiar location (the former Tonic Lounge). 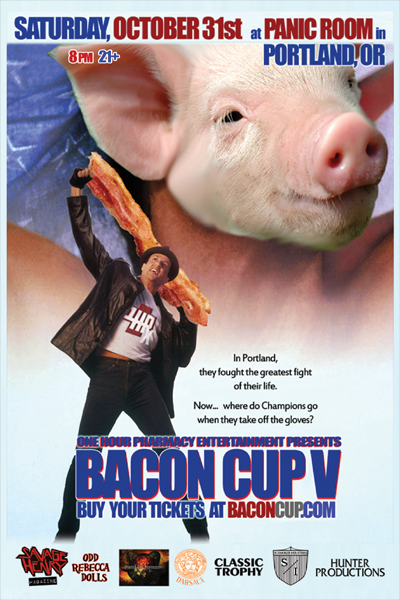 Plus, it's giving us a shot to hold Bacon Cup in Portland's glorious Sandy district. This means you can actually find parking! What are you waiting for? Buy your Judge's pass (or regular old tickets) now, and if you're a local business that serves up the swine, be sure to enter your bacon (click here) and take a shot at the title. Make sure to buy your tickets now before they sell out! Or, you can get them at the door, but it's a risky move to gamble on swine.